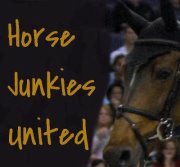 Horse Junkies United: Horses are expensive, addictive, and will impair your ability to use commone sense. HJU is predominantly an eventing oriented blog doing unbelievable coverage of international jumping, dressage, and cross country. They have an excellent, sarcastic and honest sense of humor as well. Help! My daughter loves horses! What horse-crazy girls wish their mothers new...A mom's guide to all things horsey. 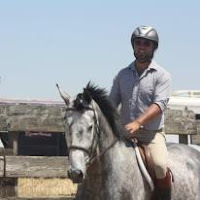 This is an excellent blog (with great video footage) for fundamentals of riding, grooming and caring for a horse. Ali and Noah present very digestible information in an informative, basic, and non-intimidating way. I attribute my sitting trot success to her (and my trainer Clint!). My ultimate equestrian goal is to be a fox-hunter. 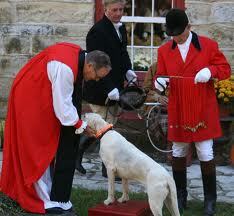 Full Cry is a blog celebrating hounds first, and fox hunting second. Their photography is first rate and they have a very active hunt. Dappled Grey is a shockingly professional and artful blog. They predominantly feature clothing, jewelry and other goods for the English enthusiast. Okay sports fans, this one only comes in the old fashion paper and ink format. We all know this one right? I so love the vintage photography in this book. None of the helmets have straps! I don't ride dressage.....yet. But I really enjoy the variety of posts about dressage and riding and lovely horses on this excellent blog. Please share your favorite equestrian blogs with Fourteen Carrots! *Please note that all photos are taken from the website featured next to it. 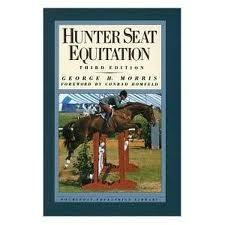 Except for Dappled Grey and Hunter Seat Equitation.